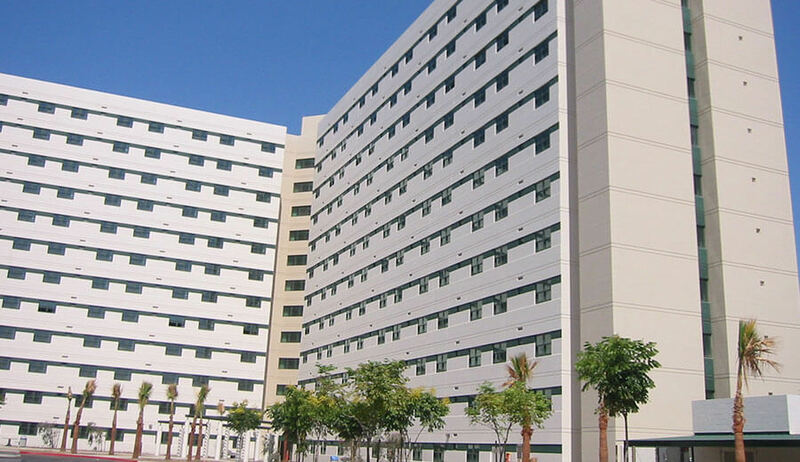 The Palmer Hall Bachelor Enlisted Quarters at Naval Station San Diego involved the design and construction of a new 209,747 sq.f, 12-story residential tower for active duty sailors. The facility is named after Seaman Lakiba Nicole Palmer, who perished in a suicide bomb attack on the USS Cole in 1996, and serves as a lasting tribute to her memory. 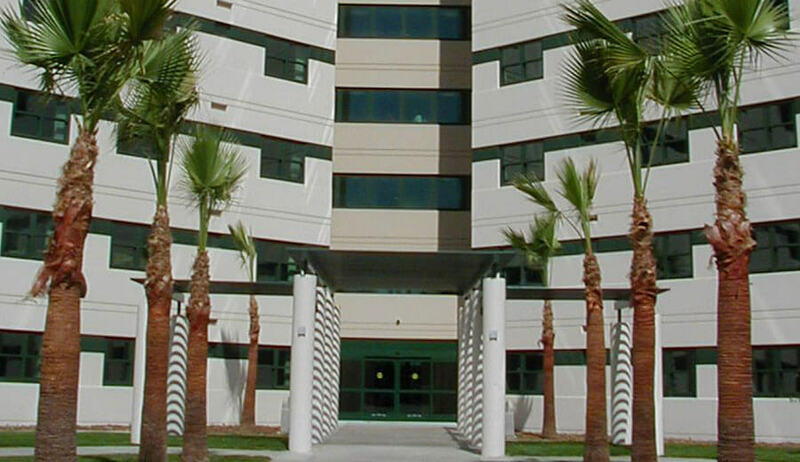 Palmer Hall is the metropolitan San Diego’s first ship-to-shore building, with the capability of providing essential short-term interim housing for up to 1032 enlisted personnel while in port for refitting or repairs. This unique building is the first structure in the U.S. to have been constructed to new federally-mandated non-progressive collapse and Anti-Terrorism/Force Protection standards in the wake of the 9/11 attacks. It features a cast concrete structural frame with a perimeter bearing wall extending from the foundation to the roof, with windows “punched” through the wall to avoid potential hinge points. To add to the integrity of this design, additional reinforcing steel is included in the wall perimeters and window corners, and all windows are blast resistant. 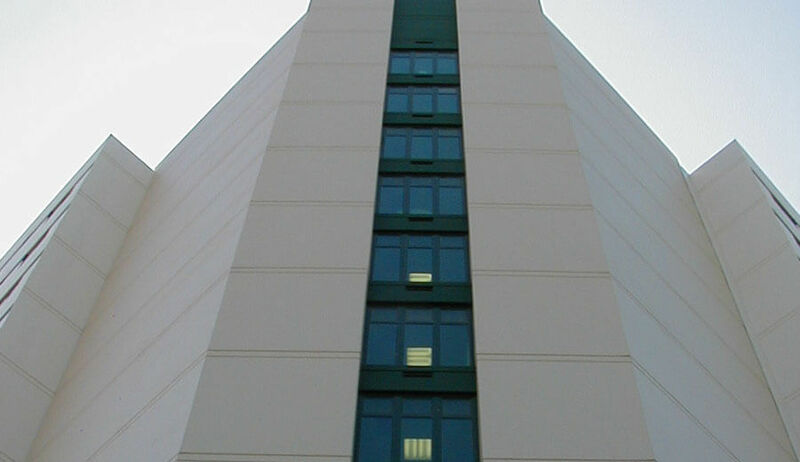 The building is comprised of 258, two-bedroom, one-bathroom, living modules, and each module includes a washer/dryer unit and kitchenette with provisions for refrigerator and microwave. Amenities include ornamental iron fencing, entry trellises, outdoor recreational spaces, and high-end finishes throughout.